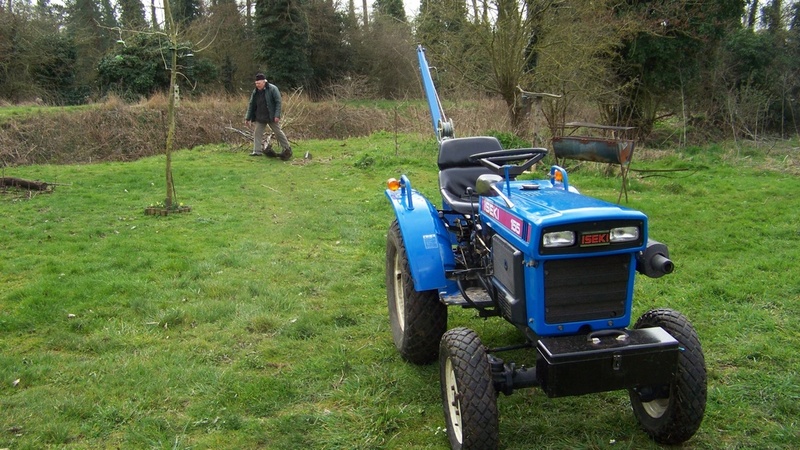 At the last working parties we cut the grass and got a fallen tree out of the river, we had to put a ladder down the steep bank and tie a rope around the tree, then pull it out with a tractor. 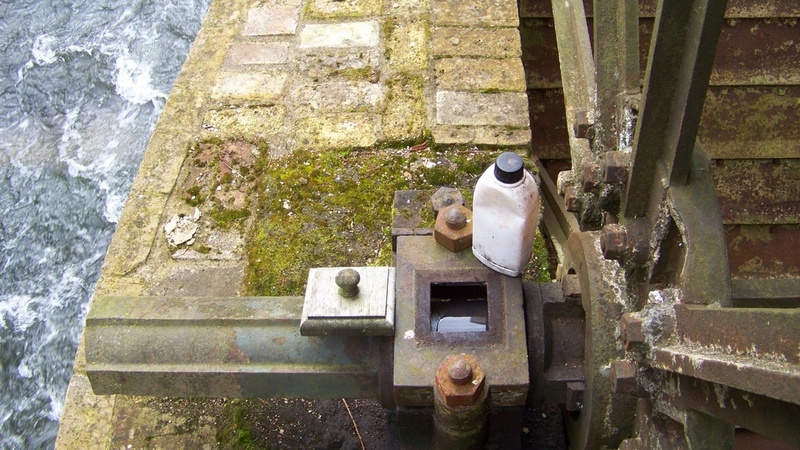 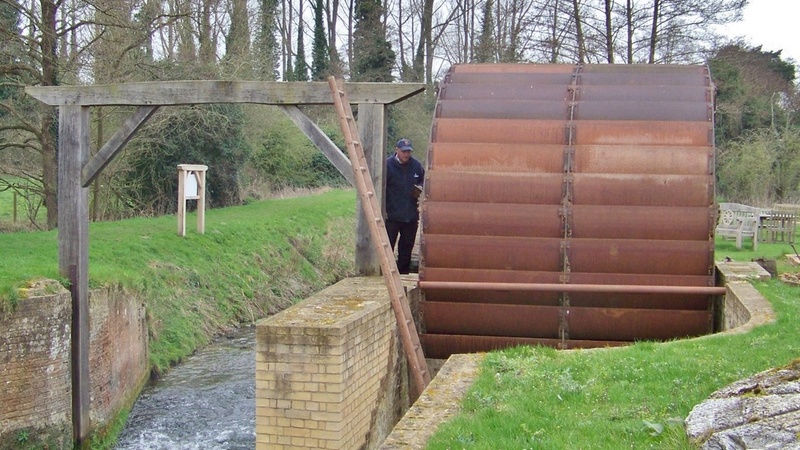 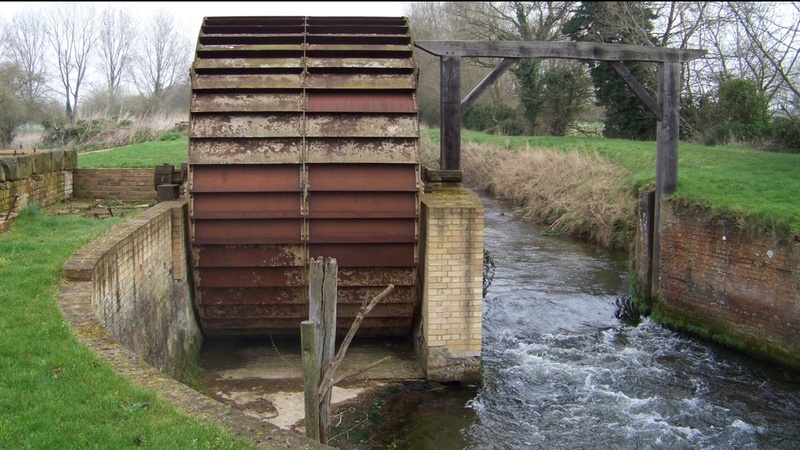 We also oiled both main bearings of the water wheel. 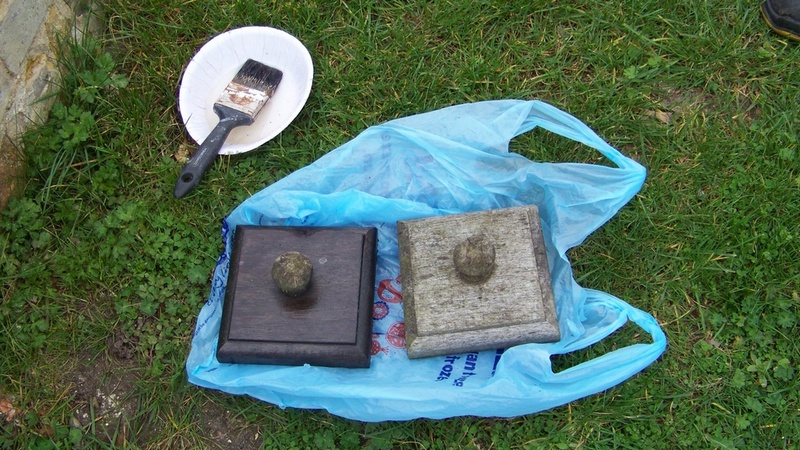 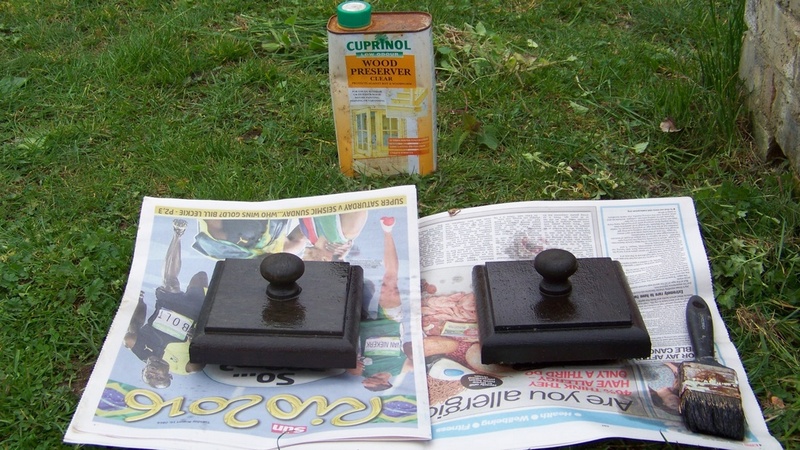 The wooden cover caps over the bearings were starting to crack so we treated them with wood preservative. 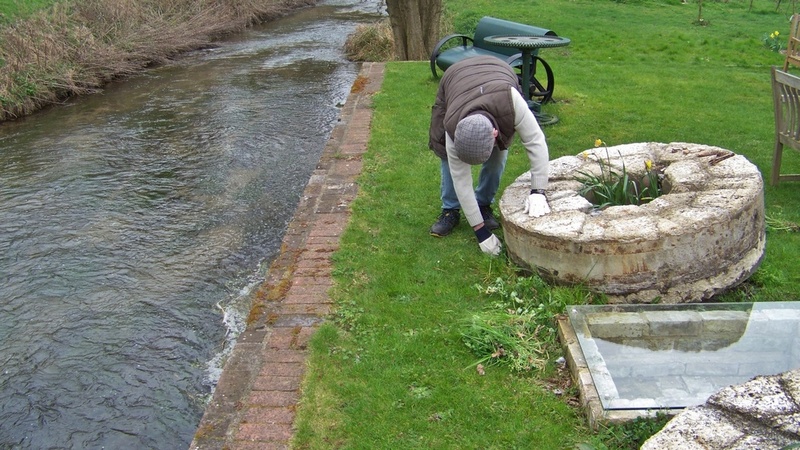 While working on the pier beside the river we removed Ivy from the outer wall. 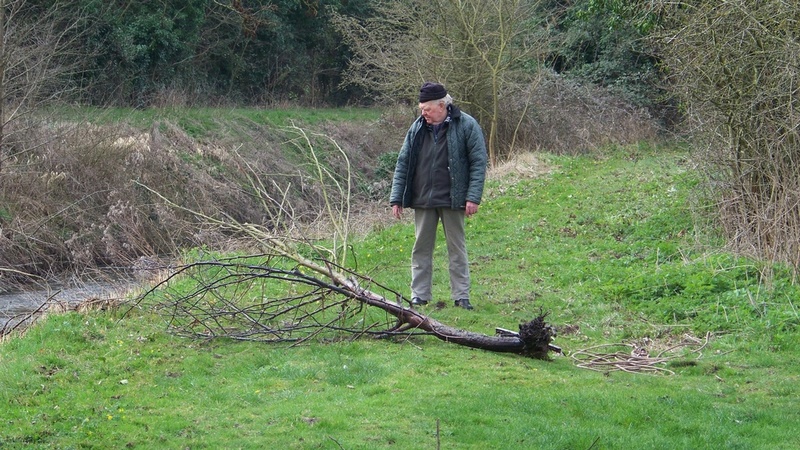 Brambles were cut from the river bank and weeds around the visitor centre were dug out and put on the compost heap. 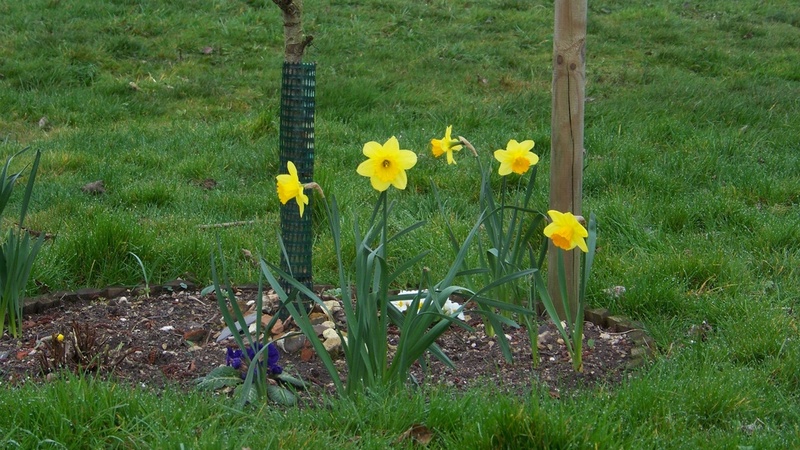 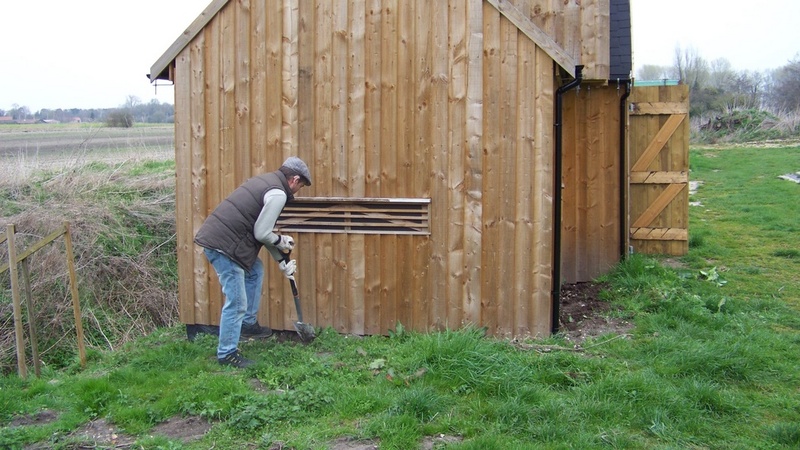 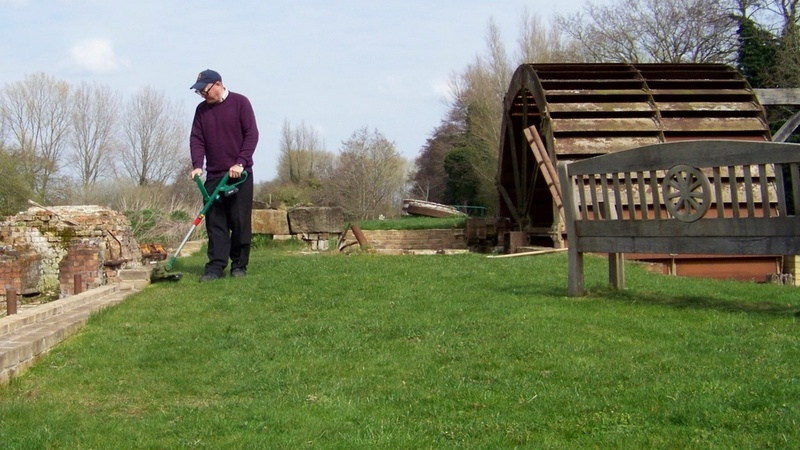 The grindstones and machinery areas were also weeded, then we strimmed the edges around the site. 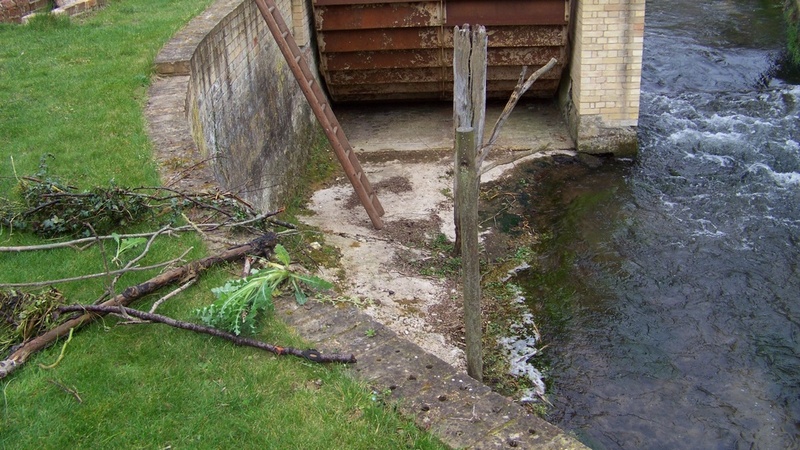 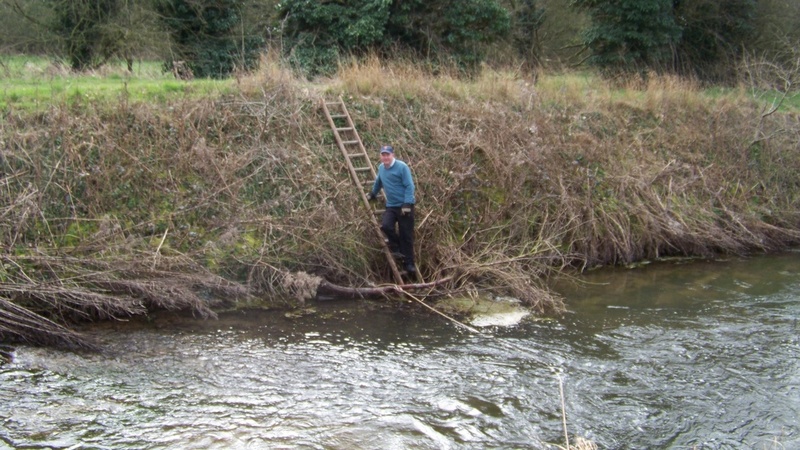 There was debris in the river on the downstream side so we went down the ladder and removed it. 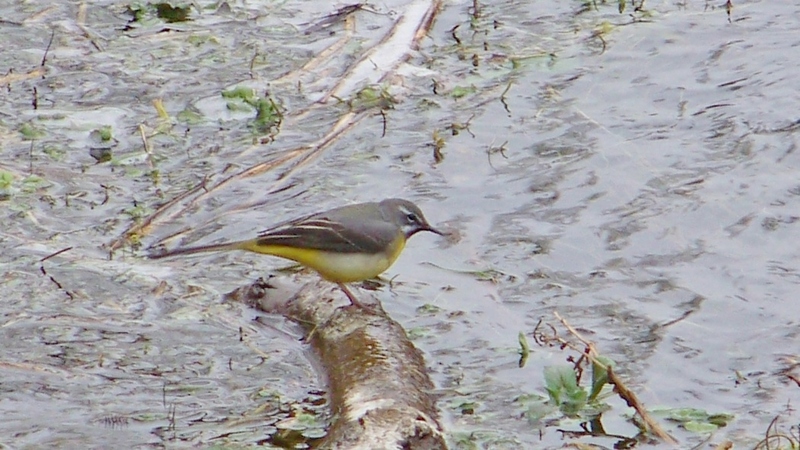 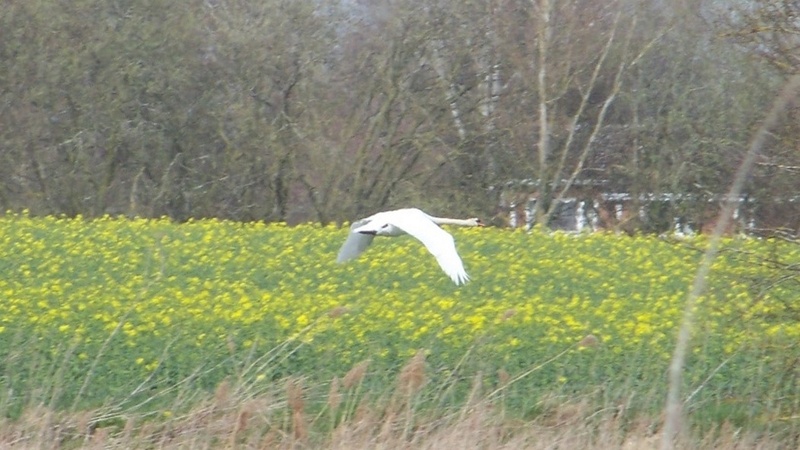 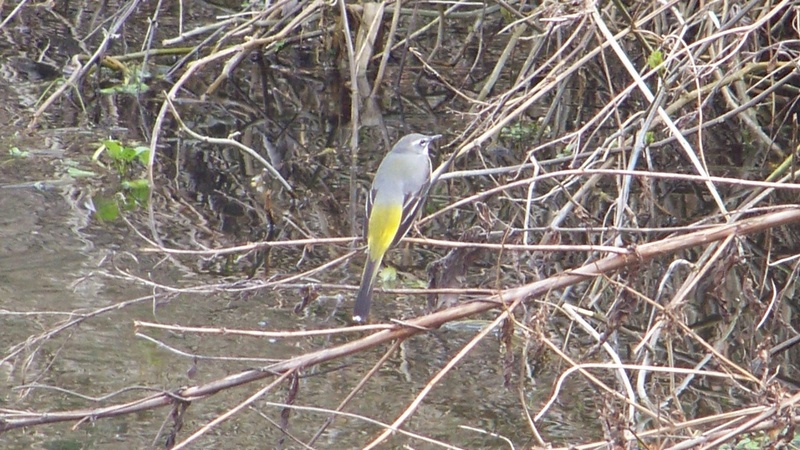 A pair of Grey Wagtails were flying around the mill and river, we also saw a swan in flight. 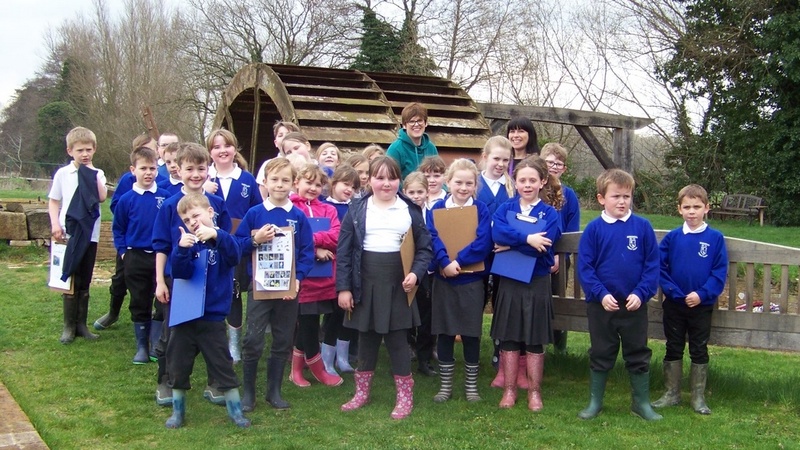 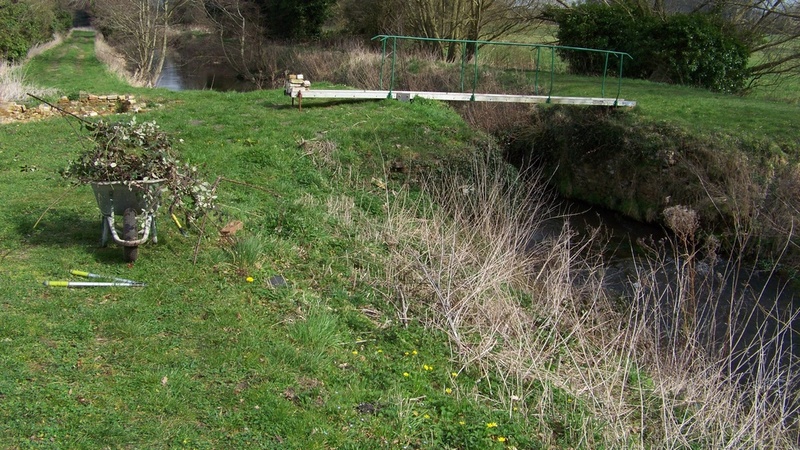 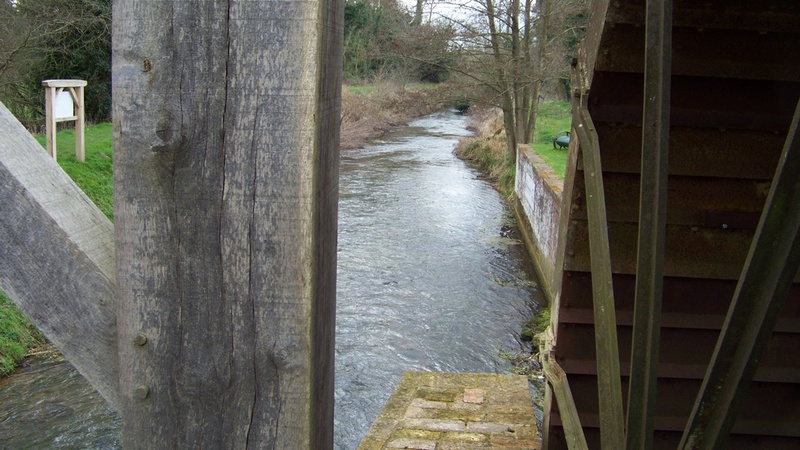 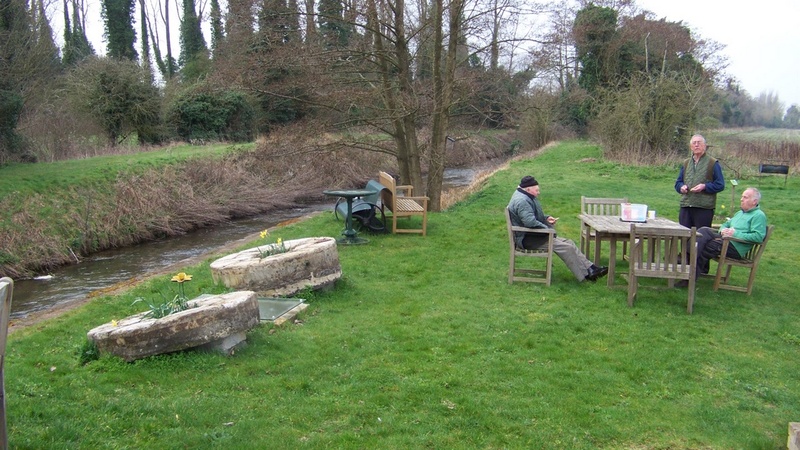 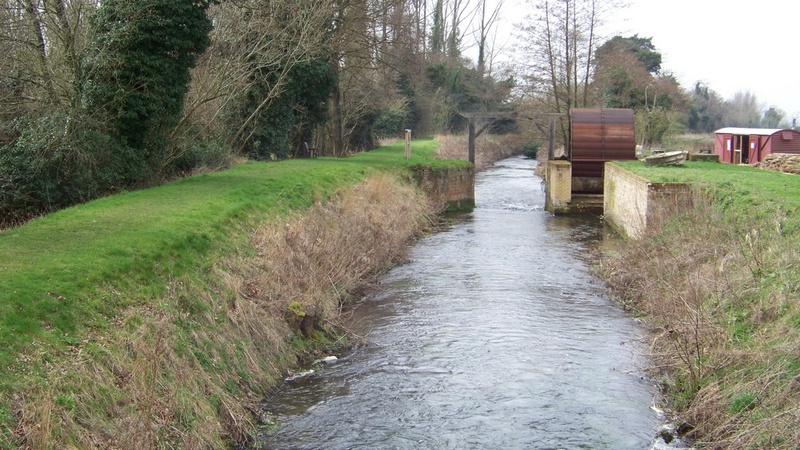 On 21/3/19 children from Narborough and Sporle schools visited as part of their studies of the River Nar. 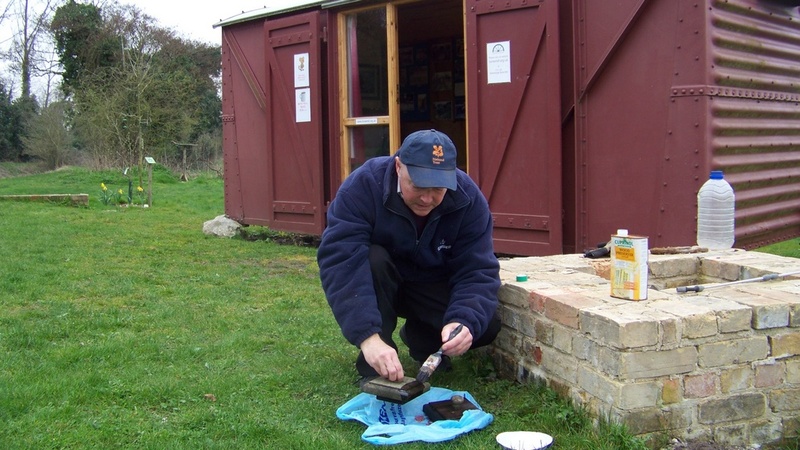 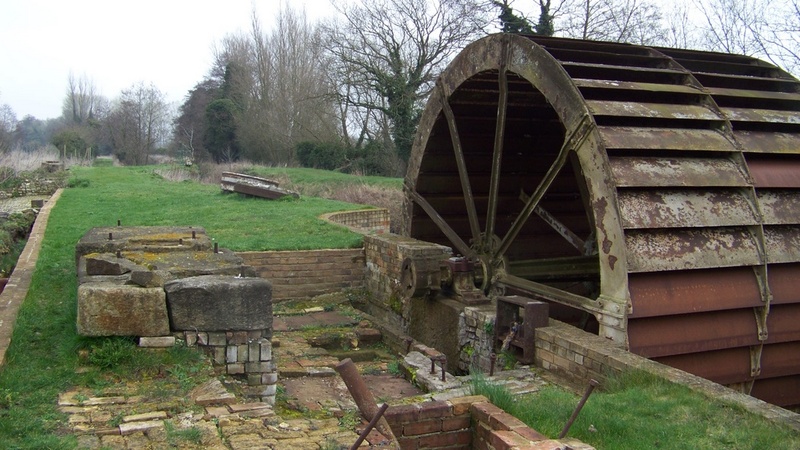 Graham showed them our visitor centre which had many finds on show, the children were interested and asked lots of questions which we enjoyed answering and explaining what the mill was used for. 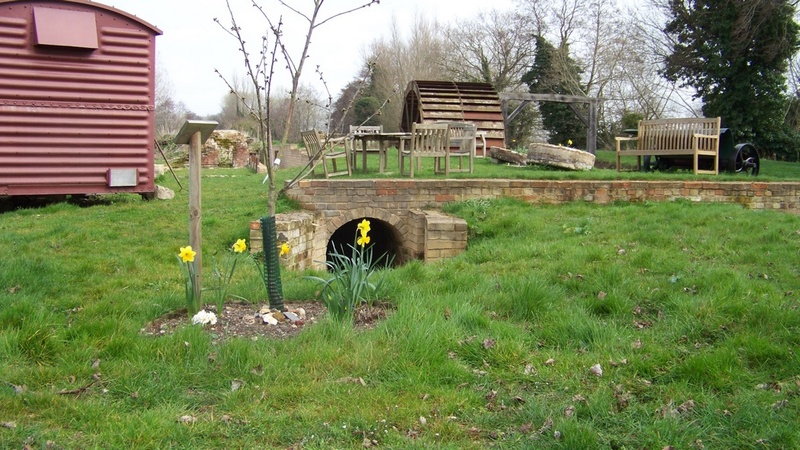 Dennis showed them the blacksmith’s shop area and they all enjoyed exploring the site and going through the trench and tunnel. 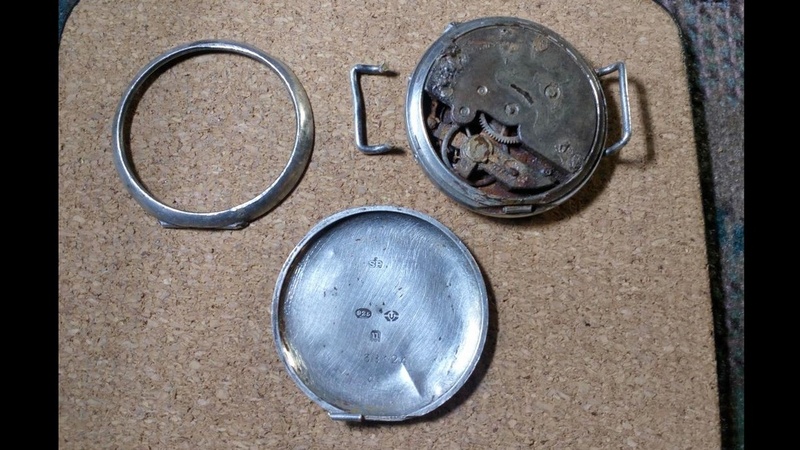 Barry found a silver watch dated 1915, this was during the period of change from fob to wrist watches, it has a double hinge front and back, these were issued to soldiers in WW1. 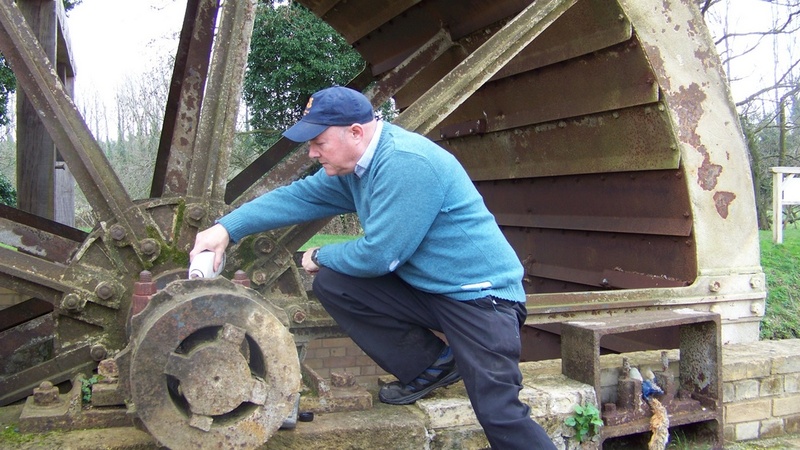 We will be taking part in National Mills Weekend again this year, we open to the public on 11 & 12 May from 10 am until 4 pm, we hope to have the water wheel turning again at this event.